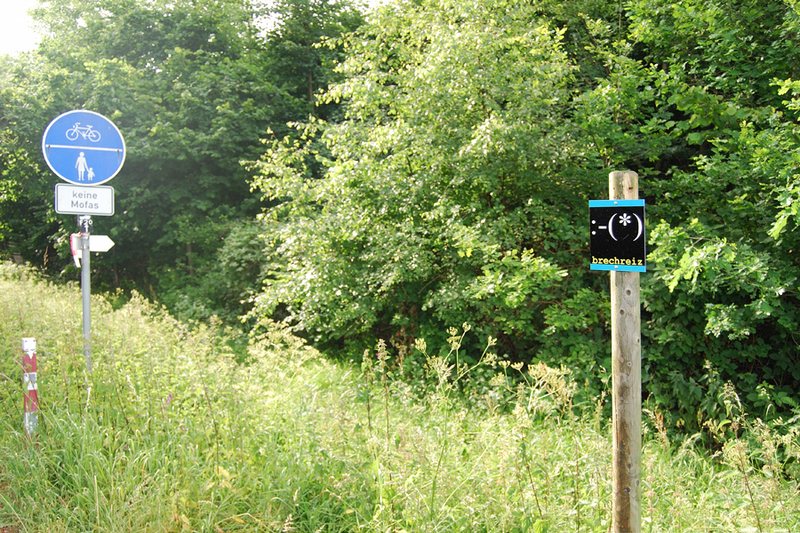 24 emoticons have been put up as small signposts along this 4 km long, former escape route of the nons. The re-development and modification of existing sign systems and their functional conversion is a central starting point for the work of Beate Baumgärtner. 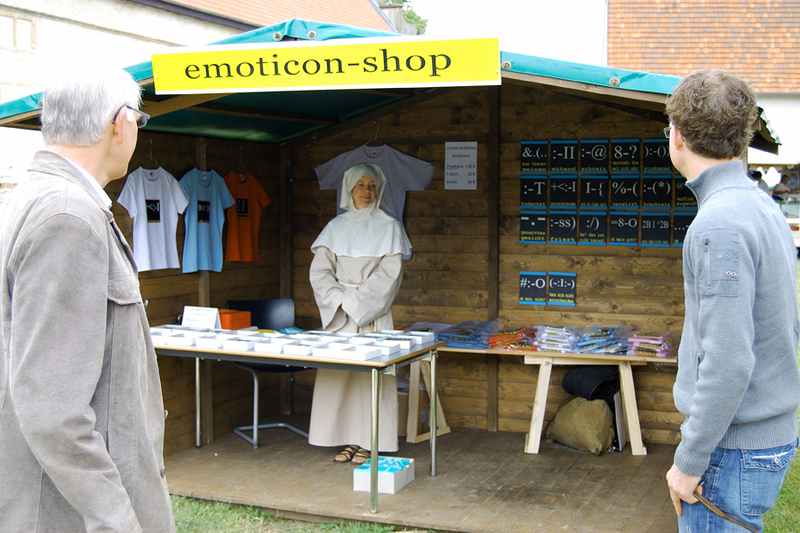 In her project draft for the DA gallery, she locates icons from the current medial communication chaos of digital chat rooms in a historically real outdoor space. 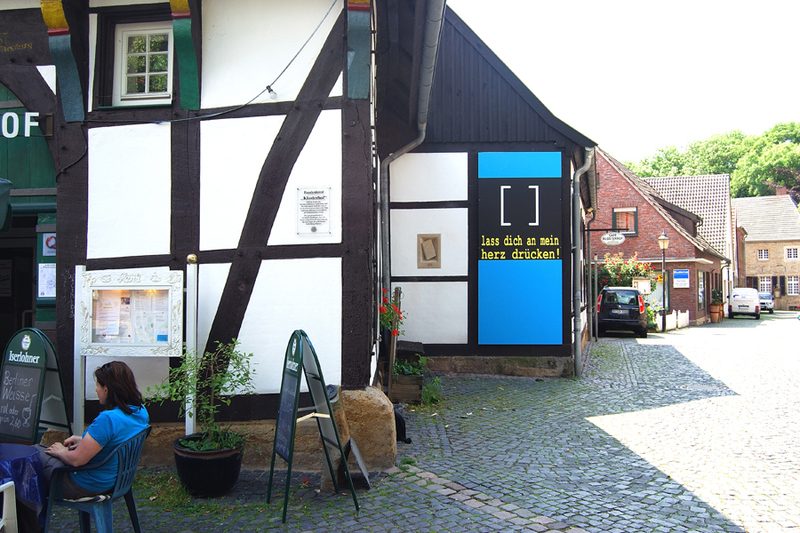 The old (escape) route of the nuns between the Gravenhorst monastery and the nearby town hall in Bevergen – das Nonnenpättken – becomes an adventure trail for a sensory confrontation between the emotional and the physical. 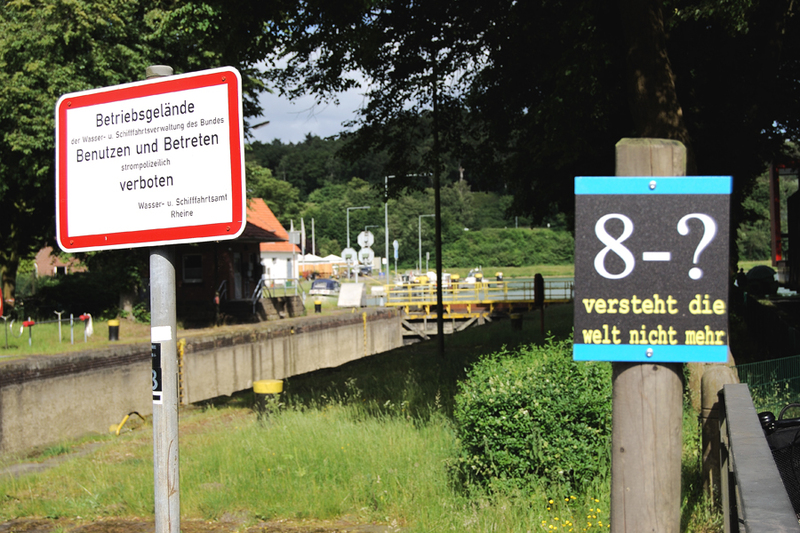 At the same time, the signs located along the route refer to the flood of images and signs of an over-visualised world. The signs do not explain or guide and ultimately leave the wanderer alone on their path with the mysterious orientation system. 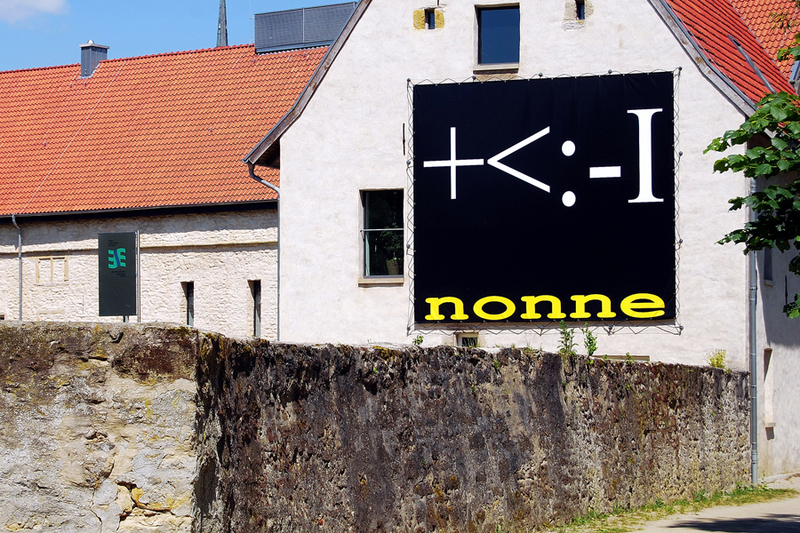 The installation of this signposted art network permanently marks the monastery’s artistic tasks, creates a direct connection between indoors and outdoors, from place to place and has the potential to have an exemplary effect as a guide system for cultural tourism.